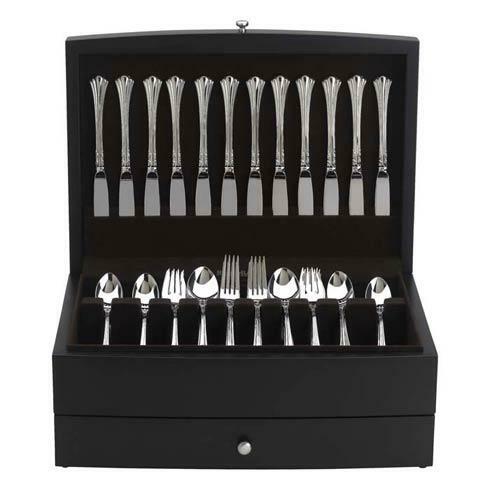 Reed & Barton ~ Chests & Storage ~ Falmouth Flatware Chest, Price $170.00 in New York, NY from William-Wayne & Co.
With its gently bowed front profile, the Falmouth Flatware Chest by Reed & Barton features an alluring, dark espresso exterior that begs to be touched. Fully lined in brown plush, tarnish-resistant silver cloth, the Falmouth chest is a beautiful and practical addition to any home. An engravable nameplate is available for personalization if desired.